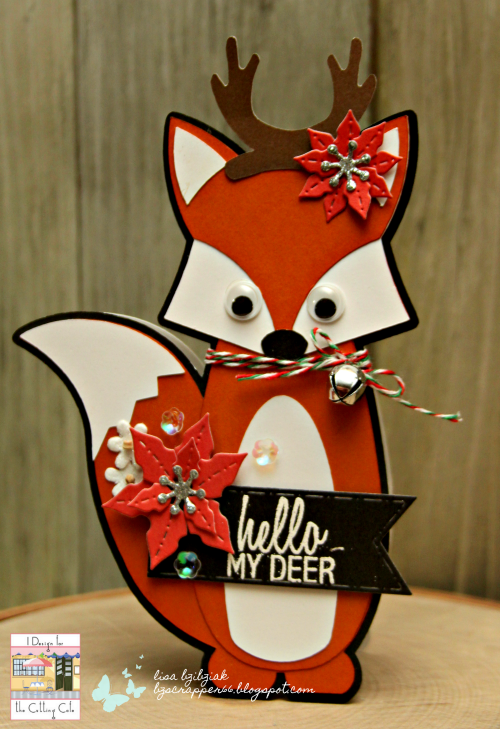 Life of a BZscrapper: The Cutting Cafe Inspiration Blog Hop-Hey There Foxy! 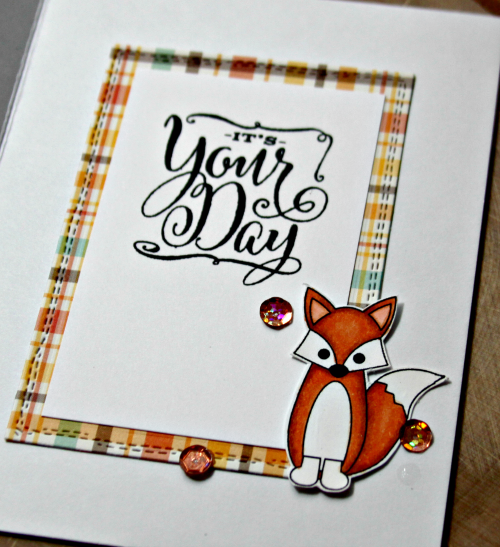 The Cutting Cafe Inspiration Blog Hop-Hey There Foxy! 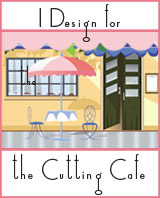 I am so excited about today's Cutting Cafe posts! 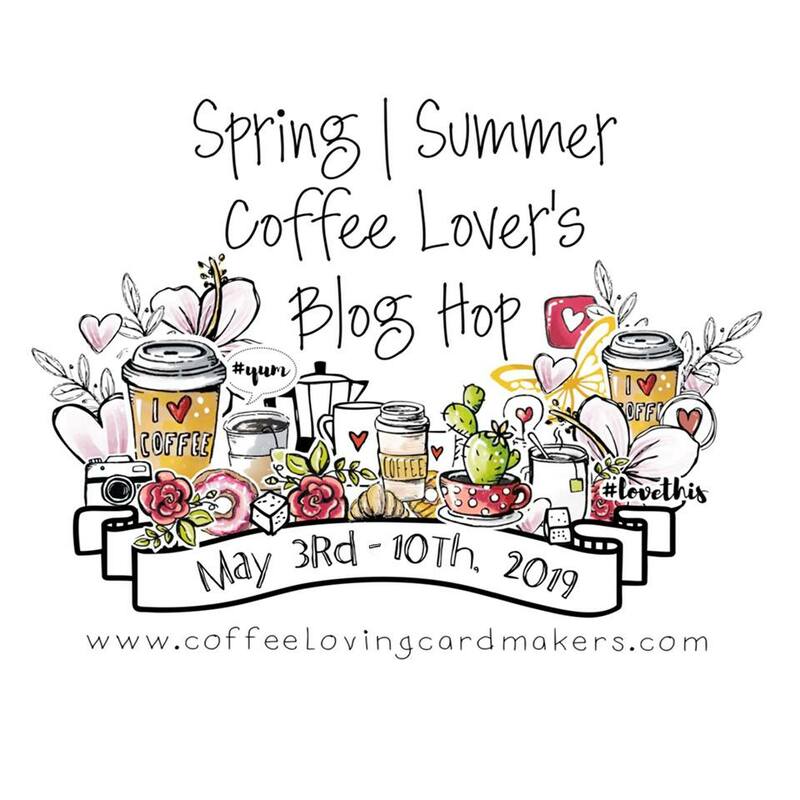 Today we're doing something special and Regina has set us up for a blog hop and you will have a chance at each stop along the way to comment and be entered into a drawing to win the set that DT member used! You should have come here from Diane Hover's place! 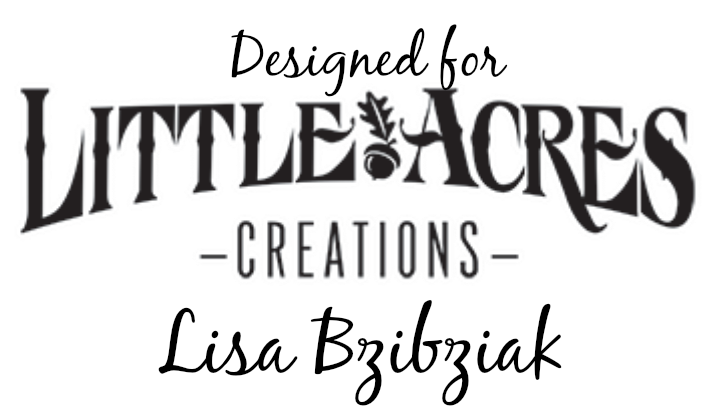 If you get lost, you can always head back to the Cutting Cafe Blog here! I LOVE this Foxy Word Shaped Card included in the set! It's so quick and easy to use! 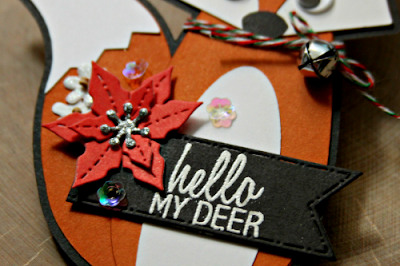 It cuts the base with a dashed cut for the fold and both top layers.. so quick and easy to put together! I'm entering this one into the Twisted Thursday Challenge over at the Outlawz! 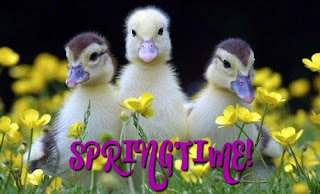 It's Anything Goes with the twist this week of Fur, Fluff or Fins... you should check it out! This is a Ning site and you have to sign up the first time, but it is soooo worth it... great big group of crafty people! And that cute little fox was part of the digital stamps that come in pdf form and also in jpg. The pics are all on one photo so the first thing I did was crop them out to be single jpg files and then I pulled this fox for instance into Word and copy and pasted it it in different sizes... printed and ready to cut either by hand or on my brother. These I fussy cut just cause I was in the mood and they were easy. 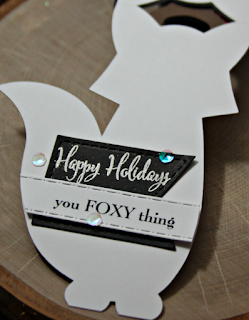 I added a sentiment from my stash on vellum 'cause it went so well with the word Foxy and some premade paper flowers and sequins. 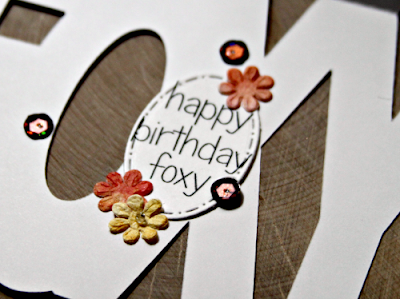 I did the same with the sentiments as I did the foxes... cropped them all separate so I could play with sizes and spacing... I like to leave space so I can cut my printed sentiments with some stitched dies if I want... and this oval fit perfectly in the center.. Here I used some of the same paper from the front; a sentiment from my stash and one of the adorable little foxes I printed, colored, and cut out. So Foxin' Adorable, right! So like I said, I print and cut lots of extras so you'll be seeing these again soon! 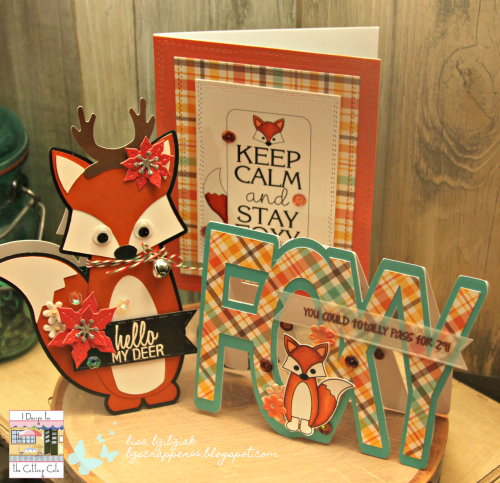 Now comment here for your chance to win this complete Hey Foxy Cutting and Printable Stamp File Set from Regina along with a little gift from me! And if you don't win it, but you must have it, you can buy it here! 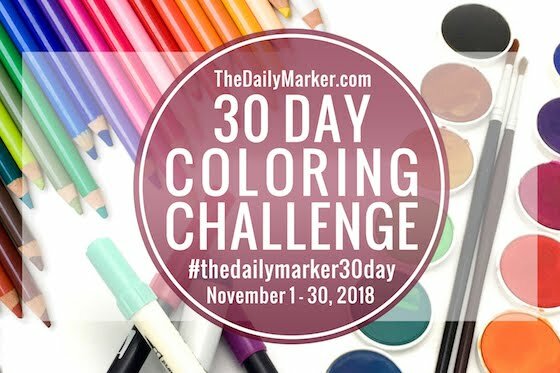 My drawing is open until Thursday, September 14th and the winner will be chosen using Random.org. And when you're done here, check out the rest of the Design Team makes ... comment.. and you could win the file that each of them has used! 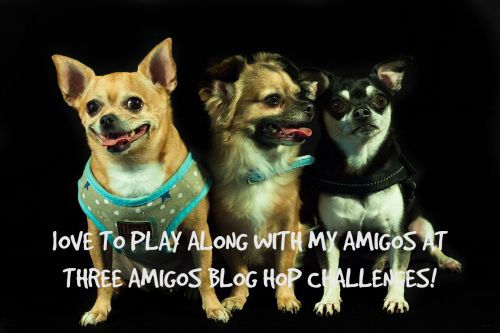 For blog hop post you comment on, you get a chance to win! How cute and love that plaid paper. OMGoodness this is super duper CUTE!! I love, love all 3 creations and the plaid papers couldn't be more perfect!! EEP!!!!!!!!!!! Soooooo cute, or should I type foxy? Such fun cards! Great job! 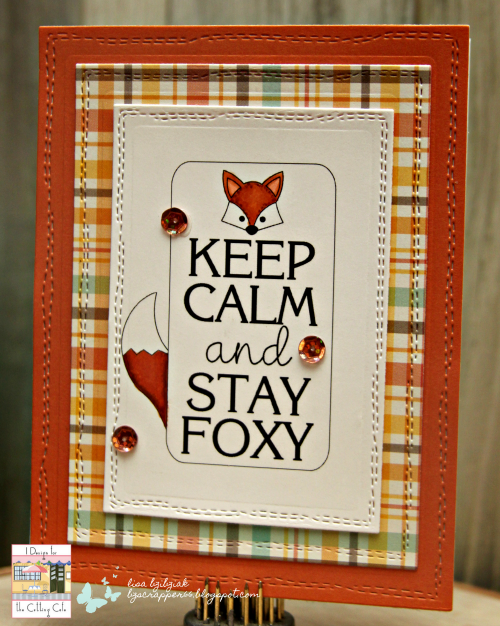 You foxy girl! Soooooooooo cute!!! I am IN LOVE with that FOX!!!!!!!!!!!!!! Oh my goodness! This has to be one of the cutest things I have seen. Thanks for sharing. OMG! These are so cute! I am totally CASEing these! Thanks so much for sharing your talents. It was fun hopping with you. 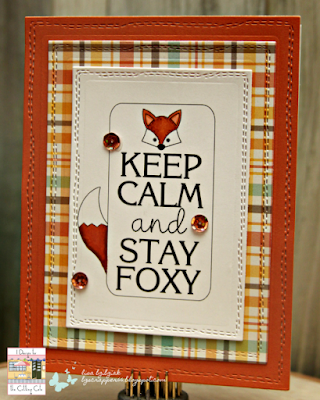 Love your foxes! Love your paper choices. my adopted daughter would go out of her mind over this fox set! Totally cute! This is a fun project. 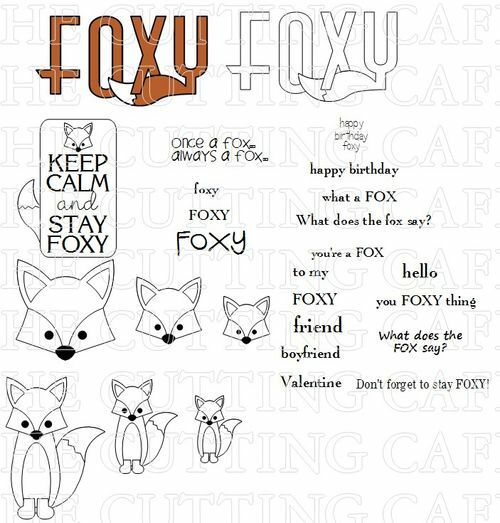 These are all so adorable...love foxy. These are too, too cute! Those antlers on the fox is the cutest thing I've seen in a looooooonnnnngggg tine! These are just great! What fun. OMG!!! These are so adorable!!! You did an awesome job! So cute! Love your colors also. Think I may have to buy this set. I love these, Lisa! So Foxin' Adorable is right!! I'm going to have to check this out! These are so cool! 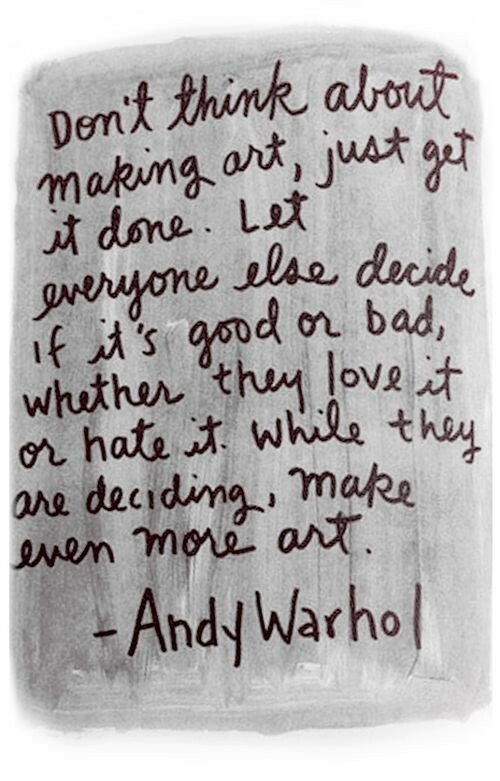 LOVE what you've created! So Stinking cute! 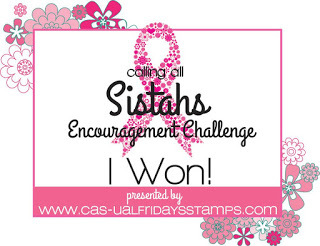 Love all your fabulous cards! I'm in love with the foxes!! 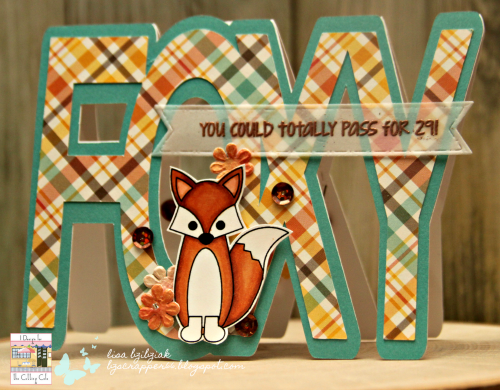 So super awesome and adorable projects with the fox cutting files! 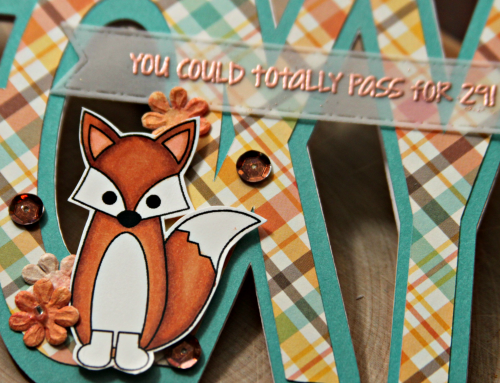 Those foxes are tooooooo stinkin' cute! Your cards are so pretty with the plaid but foxy deer steals the show. Oh how I love these cute as foxy cards! Fun sentiments too! 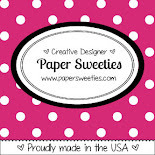 The plaid papers look great....love this fab cutting file :) Enjoy your weekend! Hope I can find time to hop? You blew this hop out of the water! Beautifully done!!! 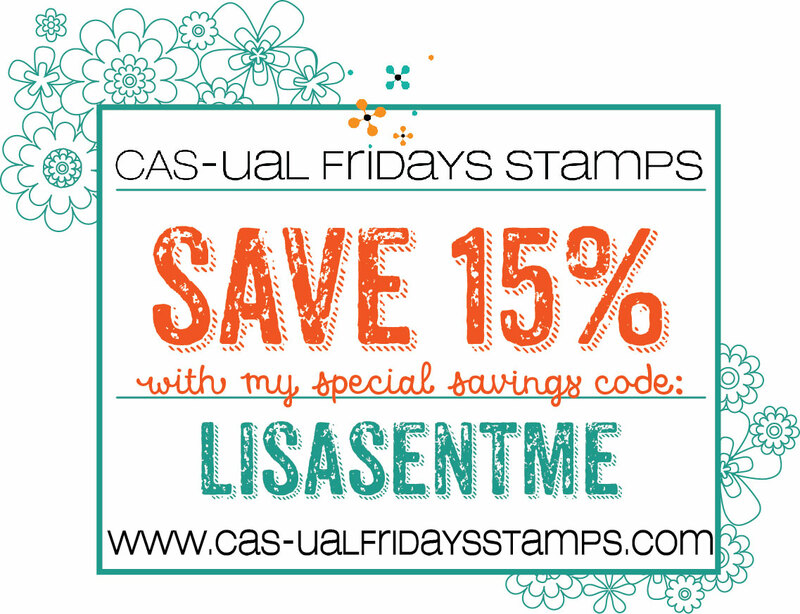 Thanks for sharing - it's been fun hopping with you this week! So cute set, Lisa. It's really attractive! This is cuteness overload!!! Amazing job!